Last summer I showed up at the start line of my 50-mile “A” race in the San Juan Mountains completely exhausted and unmotivated. 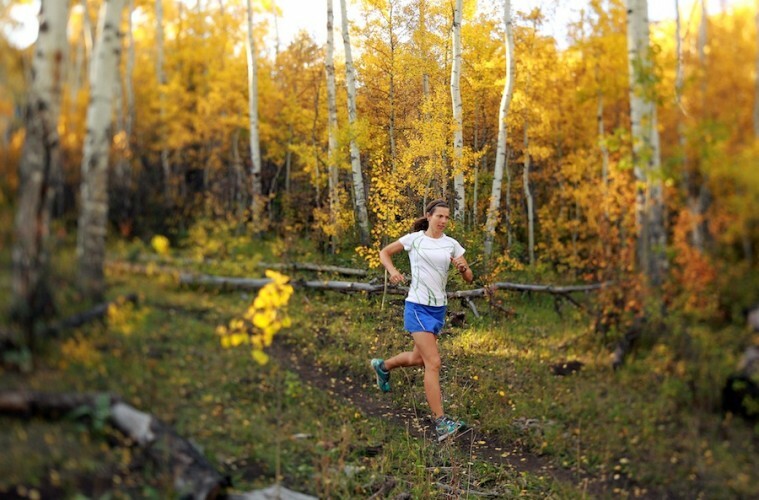 I had fallen into the trap that many over-committed yet ambitious trail runners make. My season began strong but I soon lost the energy and will to stick with training, found it hard to recover from workouts and chronic pain and injury made running unpleasant. After months of meticulous training and preparation, how could this happen? Running is usually a productive stress, meaning that it causes physiological adaptations that make you stronger, faster and able to run longer. But too much stress of any sort—either from overtraining, job pressures, difficult relationships or financial worries—accumulate over time and can overload your system. In this over-stressed state, your body is no longer able to adapt to or recover from the stress of training and racing. Running “through” such fatigue only digs you deeper into this depleted state and makes it harder to recuperate. As you plan your training season, consider what you need to adapt to your total stress load, not just training-related stress. You may know that “active recovery” or moving your body throughout the day reduces is post-workout stiffness and flushes metabolic waste from the muscles. However, it’s only once you’re asleep that the body’s most powerful healing mechanisms to do their work. Stress releases the performance-boosting hormones cortisol and testosterone, which are helpful in the short-term, but can be harmful if not stabilized soon after the workout is done. When you sleep, these hormones are rebalanced, torn running muscles are repaired and strengthened and tissue inflammation subsides. Sleeping less than eight hours—even just one or two nights a week—interferes with these critical recovery processes. Many runners—no matter their competitive level—tend to train too hard too much of the time. For example, if a so-called “easy” run takes place on a hilly trail, you are likely pushing your heart rate and muscles outside the easy effort zone. The bulk of your running volume should take place at a relaxed, conversational pace, especially when you are just coming back from a layoff or adding mileage in preparation for a longer-distance event such as a marathon or ultramarathon. Only around 20 percent of total running time should be spent at or above your lactate threshold, a pace that feels moderately hard. You’ll get more quality from your high-intensity workouts and your races when most of your miles are at the low end of the perceived exertion scale. Runners spend a lot of time discussing and evaluating their macronutrient intake (carbohydrate, fat and protein), which, while important to understand as fuel sources, often overshadows micronutrient consumption. Runners who eat loads of carbohydrates without considering the food’s nutrient density are missing the opportunity to provide their bodies with the vitamins and minerals essential to repairing daily tissue damage. Adding more cooked and raw vegetables to your plate will deliver necessary carbohydrates along with loads of valuable nutrients and water to keep you well nourished and hydrated. For example, while kale has been getting a lot of attention recently, almost any type of dark, leafy green vegetable—including chard, collards, spinach, Romaine lettuce and broccoli—delivers delicious taste, texture and nutrition to any lunch or dinner. Experiment with new dishes centered primarily around vegetables rather than a meat or grain in order to give your overall diet a nutrient boost. Signing up for a challenging race—or full season of racing—is a big commitment in terms of time training, entry fees paid, travel and absence from work and family. But with that investment comes pressure to perform one’s best, which has a way of turning training from play into work. Reverting to a more playful mindset can reduce the pressure and make running fun and easy again. Try making small changes that shake up your running routine. Leave your watch and heart-rate monitor at home. Don’t worry about logging a certain number of miles or hours of training and instead just as far and fast (or slow) as you feel on any given day. Run a new route with no expectations of your pace or time to complete it. Run with people who are slower than you are to simply enjoy their company. –Elinor Fish is an accomplished ultrarunner with 25 years of competitive experience, public speaker, writer and coach who helps runners of all levels overcome chronic injury, burnout and exhaustion and get more enjoyment from their running. She hosts the four-day trail running retreat, Run Your Way to Optimal Health, taking place in Aspen, Colorado, July 17-20. www.ElinorFish.com.